International tuition fees in the majority of programs will be increasing by an average of around 50 per cent over the next three years, UBC announced today. The fee increases are a result of a Board of Governors’ directive to set international fees “at levels that reflect UBC’s standing as a global university and the value of a UBC degree.” The fee increase would “support the mission and excellence of the University,” as well as placing fees at levels similar to those seen at peer institutions such as the University of Toronto and McGill. The increases will be implemented in three stages. Most programs will see an increase of 15 per cent in 2016-2017, an additional 15 per cent the following year and 11 per cent in the third year. However the increases are compounding, meaning that incoming international students in 2017/18 will be paying an extra 15 per cent of tuition fees paid in 2016/17. This results in total increases of 46.8 per cent of today's tuition costs. Current students will be unaffected by the tuition hikes. Consultation with students on the tuition hikes opens today, but will be limited to discussing the allocation of the increased revenue rather than whether the tuition increases should take place at all, according to Interim Provost Anji Redish. “Given the Board resolution, I think it’s more about how the money will be used,” said Redish in an interview with The Ubyssey. The Board of Governors' instruction to raise fees relies heavily on meeting goals related to terms like “best”, “value” and “excellence”. However, there has been no definition of what these words mean in real terms of what the university would look like and why tuition increases are necessary to achieving standards such as “excellence”. When it comes to placing a monetary value on a UBC degree, factors like post-graduation salaries play less of a role than student satisfaction. “It’s about when students graduate they say, ‘This was something I’m really glad I did,' [and] understanding what it cost them,” said Redish. 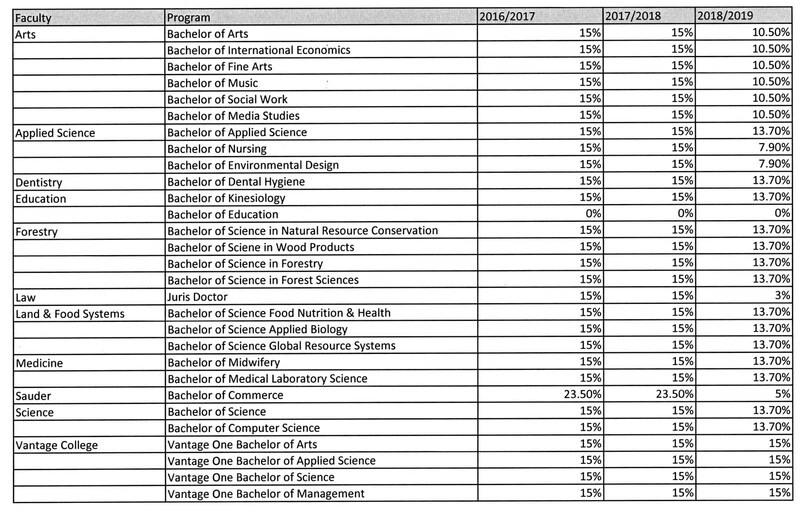 Redish also suggested that supply and demand play a role in the increases, noting that international demand for more expensive University of Toronto programs remained high after their increase in past years. Omassi sees a problem with the way in which the tuition increases have been implemented. 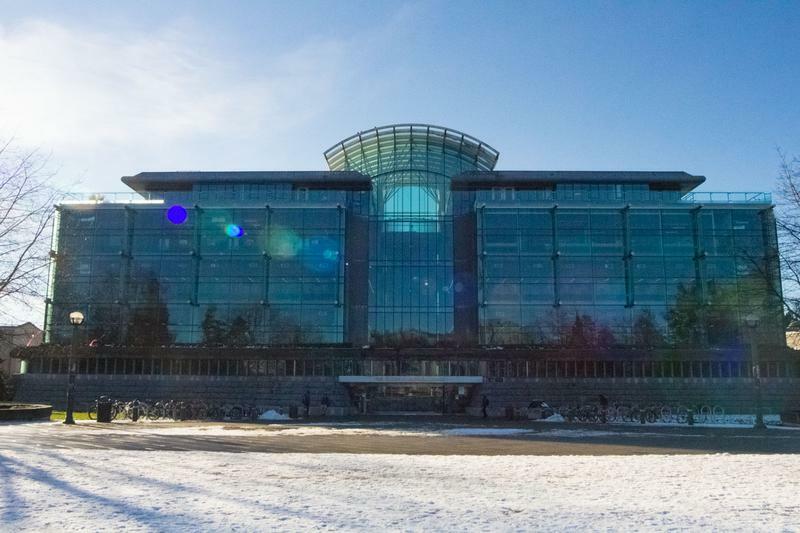 Because the directive came from the BoG, which is responsible for university finances and may hold a more limited view of the university than UBC’s executive team, Omassi said it was hard to speak meaningfully on behalf of students. Last year, #iamaStudent protests broke out after students felt that their comments were not meaningfully heard and taken into account by the Board or the administration after the university announced plans to raise tuition and housing fees. Redish counters this by saying she has been in discussion with student leaders for as long as she’s been talking to faculty and other stakeholders. “It’s okay to have a difference of opinion … there are lots of things that students are telling us and we value the input,” said Redish. Both the AMS and the university have developed websites to allow students easy, consolidated access to all information necessary to engage in the consultation. Six meetings will take place between student leadership and university administrators as well as multiple town halls for all students to attend. Student feedback will be given to the Board of Governors for review later this year. Do you think the tuition increases are reasonable?